A charity auction hosted by Cancer Gets LOST at The 100 convention Unity Days has raised over $10k! Fandom is many things. Passionate, creative, spirited — and, as most recently evidenced at The 100 convention Unity Days in Vancouver, incredibly generous. 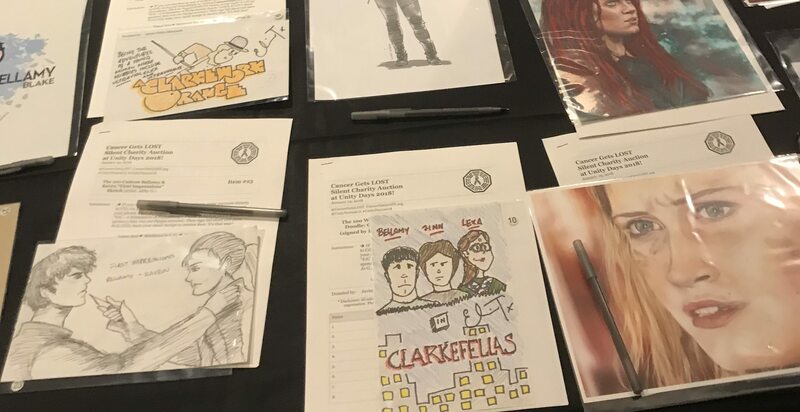 It is always wonderful to see fans banding together in support of charitable causes, and nobody is more dedicated to channeling the power of fandom for good than Jo Garfein, co-founder and executive director of the charity organization Cancer Gets LOST. 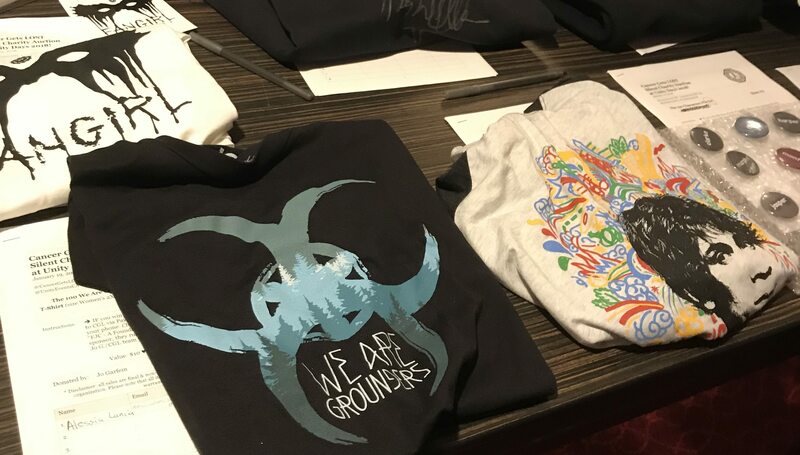 Founded in 2010, the organization has held multiple auctions both online and at live events, featuring fandom-related items donated by fans and talent alike, with all proceeds going to the cancer-related charities Alex’s Lemonade Stand, American Cancer Society, and the National Brain Tumor Society. 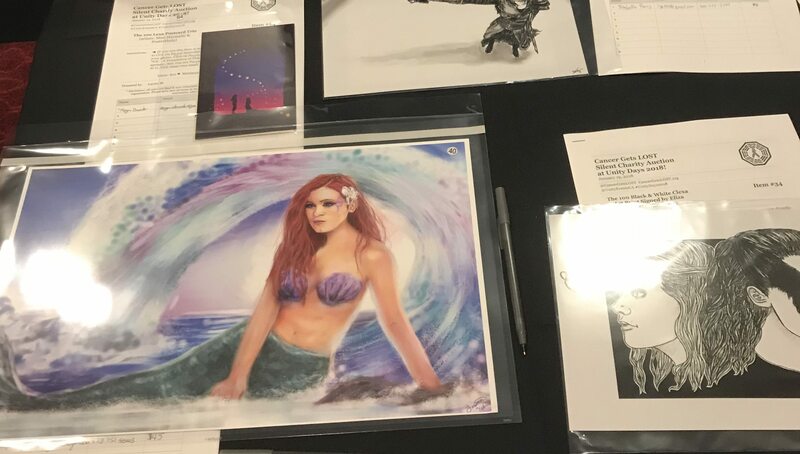 At the second Unity Days The 100 convention, Garfein spearheaded the organization’s biggest, most successful silent auction yet, selling 100+ pieces of fandom-related art and merchandise and raising a whopping $10,850 for the Pancreatic Cancer Action Network. Counting the donations made directly to Cancer Gets LOST during the weekend, the grand total raised was $11,330. The specific charity was chosen to honor Jo Garfein’s mother-in-law, who tragically passed away last month after bravely battling stage 4 pancreatic cancer for 4 years. It has been wonderful to witness fandom come together and raise such a mind-blowing amount of money for charity. It speaks to the spirit of not only Cancer Gets LOST, but the Unity Days initiative, which works consciously to create a positive, welcoming atmosphere. I was proud to represent Hypable at Unity Days 2018, and it has been a blast meeting all the fans and sitting in on the weekend’s first panel featuring the hosts of the Meta Station and Afictionados podcasts. Head on over to the Cancer Gets LOST website to learn more about upcoming fandom-themed charity events. Updated 1/27/2018 to reflect the total raised amount.